I fell in love with broth bowls from one of our local restaurants and have created quite a few of them at home. I really prefer beef broth to chicken broth, so I LOVED this one. I've been doing the Whole30 challenge this month, since January 2nd. I'm on Day 5 right now. It's been kind of easy so far. Don't get me wrong. I would like to eat a cookie, but I'm not going to! This broth bowl was fairly easy. 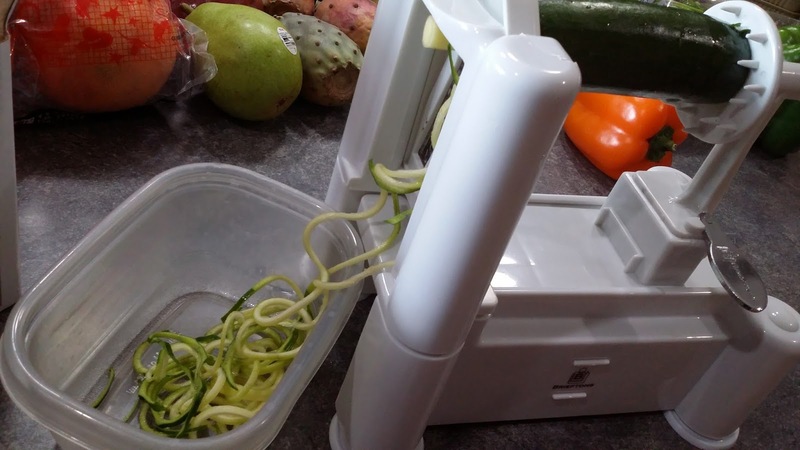 It did take some work because I had to brown the ground pork and spiralize the zucchini. But even those things didn't take long. One thing I wish I would have done was chop the kale into smaller pieces. I can't believe how big some of the pieces are in my pre-washed bagged kale! 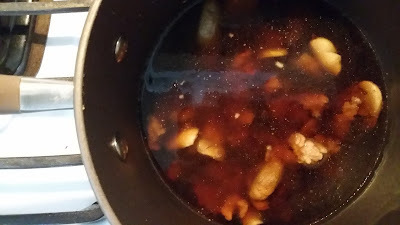 I like mine spicy, so I added 1/4 teaspoon of crushed red pepper. You could leave that out if you don't like it spicy. If you're doing the Whole30 make sure you look at the ingredients on every box of beef broth. Most store-bought beef broths contain sugar of some kind. While I was looking at labels, I saw some had sugar, some had honey, one might have even had dextrose. Even organic beef broths contain organic cane sugar. On the Whole30 challenge, no added sugar is allowed at all. If you're not doing Whole30 buy any broth you choose! 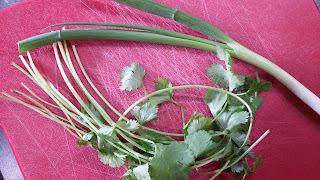 fresh cilantro and green onion to garnish~~ I like a LOT of cilantro. I love it! Here's how I made it. I wanted to do it in one pot only to save having to wash more dishes! 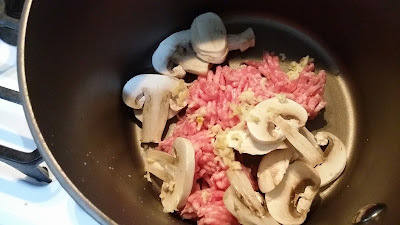 Once meat is browned and no pink is showing, add the beef broth and ground ginger. Turn heat to medium and cook for 5 minutes. 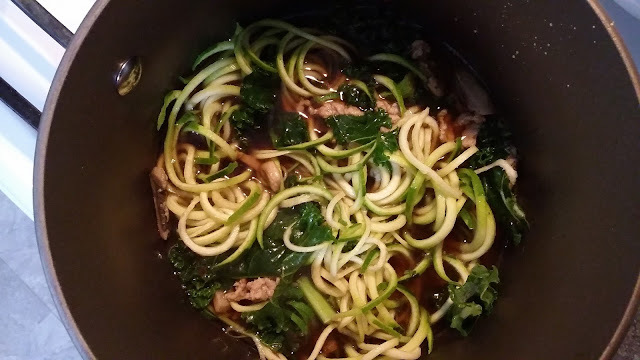 After broth and ground pork has simmered for 5 minutes, add the zucchini and kale and cook for 3 minutes longer on low. 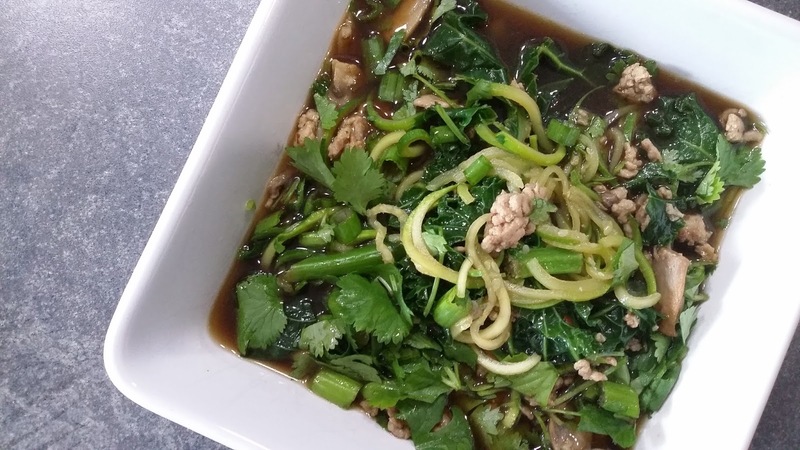 Pour soup into bowl and garnish with cilantro and green onions. Do you enjoy broth bowls? What's your favorite broth to use? Have you ever tried anything like the Whole30? 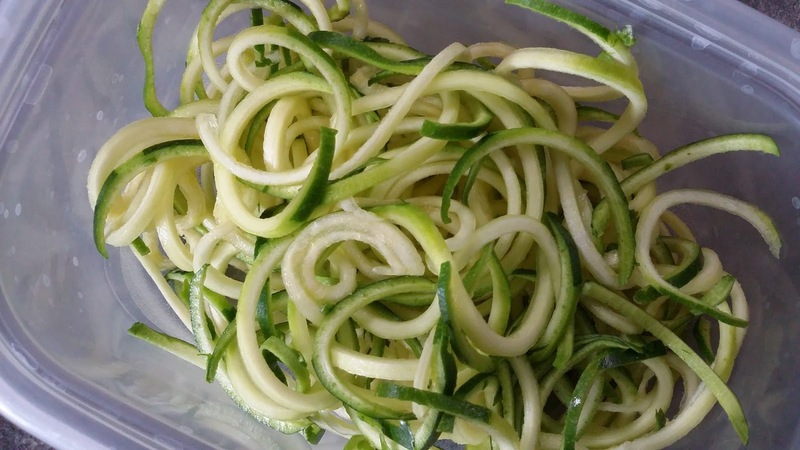 Thanks for linking up at the Healthy Living Link Party!